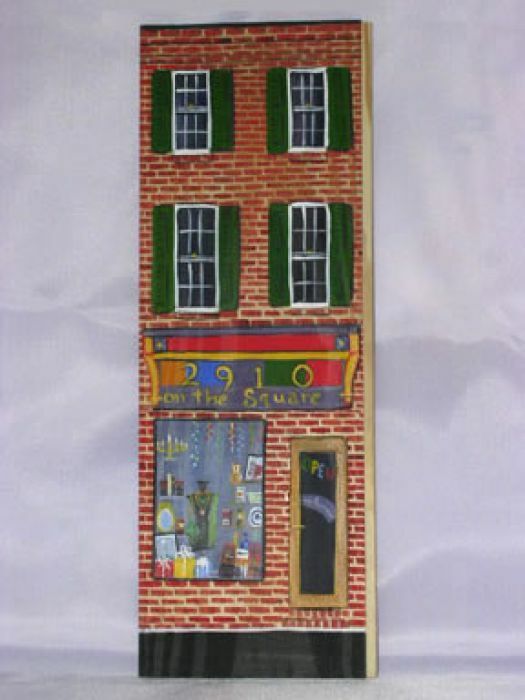 Custom order your row home, or your friend's rowhome, favorite Baltimore landmark or business. Hand Painted custom bricks or wood panels by artist Linda Amtmann. Orders take at least three to four weeks after we receive your photo. PLEASE NOTE: FOR ORDERS FOR CUSTOM BRICKS AND WOODS PLACED AFTER DECEMBER 7, 2018, WE CANNOT GUARANTEE ARRIVAL BY DECEMBER 24, 2018. WE ARE HAPPY TO TAKE YOUR ORDER AND WILL SHIP AS SOON AS YOUR ITEM IS COMPLETED. PLEASE NOTE, BRICKS AND WOODS ARE PAINTED BY LINDA AND SHE IS PAINTING AS FAST AS SHE CAN. Custom Hand Painted Bricks or Wood Panels by artist Linda Amtmann from your photograph. Custom order your row home, or your friend's rowhome, favorite Baltimore landmark, business, or any location. Available in Wood or Brick. As each piece is painted by hand custom orders take at least three to four weeks to complete.